It is Time to Standardize the Vocabulary of Gluten Related Illness. A Standardization of Vocabulary for Gluten Related Illness. Confused about what to call an ailment related to gluten intolerance? Is the correct verbiage gluten sensitivity, gluten intolerance, celiac disease, or Coeliac Sprue? Do you have asymptomatic, nonclassical, or silent celiac disease? With undefined and varied terminology, everyone was becoming confused, even researchers and doctors. Luckily, a task force from seven countries meet in Oslo to standardize the definitions of celiac disease (CD) and related terms. They found that there was a lack of consensus among celiac professionals. “Clear definitions will allow more efficient and generalisable advances in CD research relating to aetiology, incidence, prevalence, complications and treatment of patients with CD and other gluten-related disorders,” so started researching the most accurate definitions. The task forced published an article, “The Oslo definitions for coeliac disease and related terms.” It is freely accessible on the peer-reviewed journal, Gut. We share their definitions with you here in order to help clear up some lingering confusion. Gluten sensitivity: The task force found that some papers used gluten sensitivity as a CD synonym, other times it was used as an umbrella term for conditions related to gluten ingestion. To overcome this large discrepancy or meaning and confusion, they recommend using non-celiac gluten sensitivity (NCGS) be used instead. Typical CD: Not recommended. What was previously perceived as typical and most common has changed. Classical CD: Classical CD presents with signs and symptoms of malabsorption. Diarrhoea, steatorrhoea, weight loss or growth failure is required." 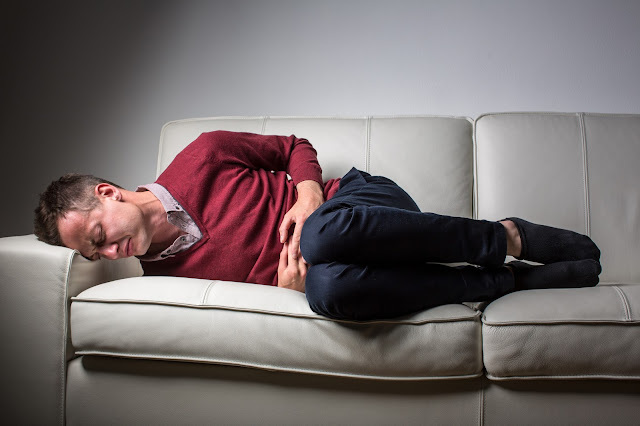 Non-classical CD: “Non-classical CD presents without signs and symptoms of malabsorption.” A patient with non-classical CD does not suffer from malabsorption but may have constipation or abdominal pain. Symptomatic CD: characterised by clinically evident gastrointestinal and/or extraintestinal symptoms attributable to gluten intake. Latent CD: This terminology is discouraged, because they found at “least five definitions of latent CD” that were all very different from each other. It is recommended to use potential CD instead. More standardized definitions for gluten related ailments, such as Gluten ataxia and Dermatitis herpetiformis can be found at gut.bmj.com. Another excellent resource to further understand further these definitions is www.questdiagnostics.com. Universal definitions of terminology for gluten related illness provide clarity and understanding. Three cheers for the Oslo Task force in helping us to overcome confusion and misunderstanding! Kay’s Naturals is dedicated to providing snacks that are gluten-free, low-sugar and high-protein! When we surveyed the market for low-sugar and gluten-free snacks, we found very few! Our goals is to help individuals meet their health goals by providing snacks that are low-GI, high-protein, all-natural, and gluten free! Visit our website to learn more.